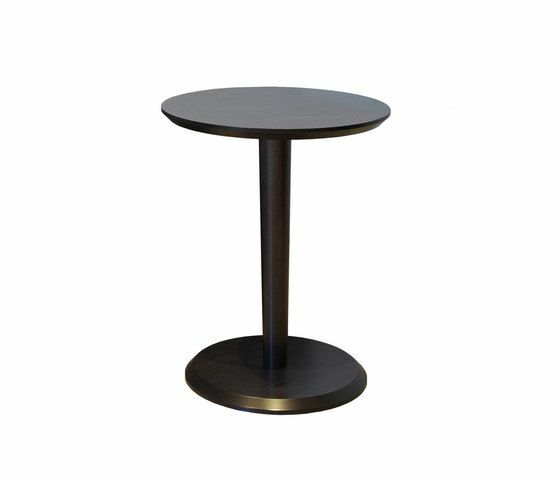 Occasional pedestal table, simple and functional. With a central turned wooden leg that gives lightness to it. Finishing options: Beech veneer, lacquered in wengue, cherry and walnut. See table of finishes enclosed.